Miles of trails provide an escape for biking or hiking while day-trippers can take in the myriad of shops and restaurants.. 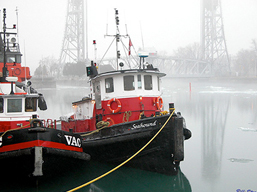 Originally known as Gravely Bay, Port Colborne is the southern terminus to the Welland Canal. Made up of the communities of Bethel, Cedar Bay, East Village, Lidsville, Elco Beach, Gasline, Humberstone, Nickel Beach, Pine Crest Points, Pleasant Beach, Sherkston, Sherkston Beaches, Shisler Point and Silver Bay. Notables include singer Tony Dekker, NHLers Ted "Teeder" Kennedy, Joseph "Bronco" Horvath, Don Simmons, as well as Francis William "Dinty" Moore. St. Catharines is a city that offers many ammenities and opportunities to its residents. It is a place known for its friendliness, charm and pride characteristics that stem from its identity as The Garden City. Home to Brock University, the city has seen a boom in condominium and new home developments as well as the construction of a new hospital, arena and soon to be completed Performing Art Centre. 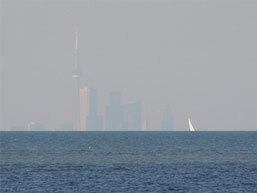 The city is made up of the communities of Merritton and Port Dalhousie. A community rich in pride, history and marine heritage, Thorold has a lot to offer. Take in amazing views of the ships as they travel through the locks along the Welland Canal. The city came into existence following the American Revolutionary War and is made up of the communities of Beaverdams, Decew Falls and St. Johns. 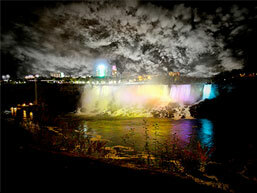 A historic city located in the heart of the Niagara Region. 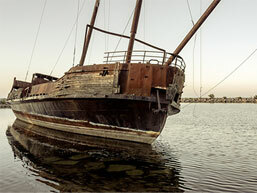 In 2008, the city celebrated its 150th anniversary and today is home to thousands of visitors who come for its marine history, festivals, sporting events and activities. 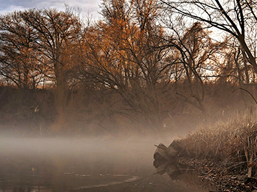 Its residents come from many diverse ethnic backgrounds including the 3rd largest French-speaking population in Ontario. 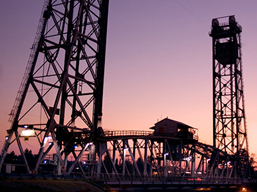 Welland is made up of the communities of Cooks Mills and Dain City. 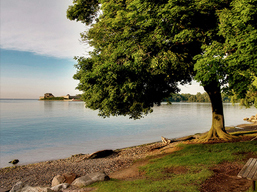 Located in the southwestern corner of the region where Lake Erie enters the Niagara River, Fort Erie has all the elements that make a community unique. 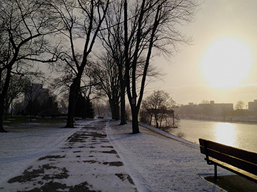 Sharing it borders with Buffalo, New York, Fort Erie has maintained its small town feel and character. Enjoy its beaches, historic sites, yearly festivals or spend a weekend touring the hamlets of Ridgeway, Crystal Beach and Stevensville. 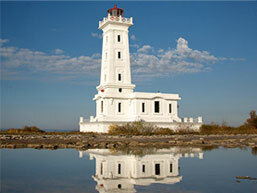 Rich in history and small town charm, Grimsby is a must visit for those touring the wine route. A litany of year-round activities and stunning natural surroundings make it an easy place to call home or to spend the weekend. Bound by Lake Ontario and the majestic Niagara Escarpment, Grimsby is home to a section of the Bruce Trail. Once a settlement of the United Empire Loyalists, Grimsby is also remembered as a bustling holiday resort (Grimsby Beach). 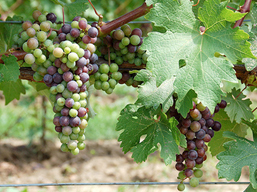 Home to many Niagara wineries, Lincoln is the type of community where you feel at home. Cradled by the Niagara Escarpment and Lake Ontario, the area is known for its orchards, vineyards and the hospitality of its residents. Lincoln is comprised of the communities of Beamsville, Campden, Jordan, Jordan Station, Pelham Union, Rockway, Tintern, Vineland and Vineland Station. The original capital of Upper Canada, this small town with a big heart is nestled along the shores of Lake Ontario and the Niagara River. Once voted Canada's prettiest town, Niagara-on-the-Lake is home to many historical sites including Fort George, Fort Mississauga, Navy Hall and Butler's Barracks. Thousands visit each year for its world-renowned wineries, quaint shops and inns and outstanding hospitality. Niagara-on-the-Lake is made up of the communities of Queenston, St. Davids and Virgil. Made up of five unique and historic villages: Effingham, Fenwick, Fonthill, North Pelham and Ridgeville, Pelham is located at the centre of the Niagara Region. 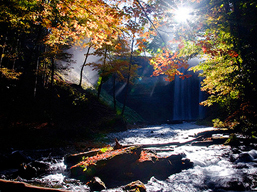 Home to Canada's largest Sugar Maple tree (Comfort Maple), the area is also a must for any hiker or cyclist. Many notables have hailed from this small community including Steve Bauer, Marlene Streit, Jeff Hutcheson, Matt Johnson, Natalie Mastracci and Mike Accursi. This rural community in located on the northern shore of Lake Erie and in the southern Niagara Region. Beyond its agricultural roots, Wainfleet plays host to the Marshville Heritage Village, a living history museum recreating life in Ontario circa 1850-1910. It is made up of the communities of Attercliffe, Beckett's Bridge, Belleview Beach, Burnaby, Camelot Beach, Chambers Corners, Long Beach, Morgan's Point, O'Reilly's Bridge, Ostryhon Corners, Perry, Wellandport, Willow Bay and Winger.